It is now a Design Observer tradition to host the best party at the AIGA Biennal Conference. It's usually off-site in some sleazy neighborhood far from the conference center. The music is too loud. 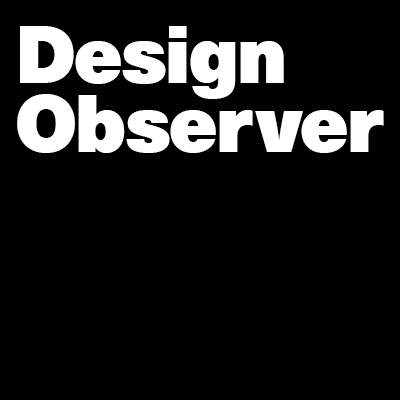 And Design Observer writers and contributors and previously antagonistic commenters have been known to mix it up on the dance floor. This year's event is in Denver at The Milk Bar @ The Shelter. Friday, October 12 from 9:00pm to 2:00am. 1037 Broadway, "South of Colfax Nightlife District." It's one mile from the AIGA conference. No cover charge. Drinks are extra. The music will be awesome. DJ Chroma (aka Kevin Smith), the indispensable man behind the scenes last year at the National Design Awards After Party, has agreed to curate the sonic experience. Since we're big on collaboration, why have one DJ when you can have six? Design Observer contributing writer and resident music expert Adrian Shaughnessy is coming all the way from London to host a set. His homeboy peer, John Walters, editor of Eye magazine, is also doing a guest gig. Immediately after the screening of Helvetica, director Gary Hustwit will spin the sans serif set that rocked the house at Colette on the rue Saint-Honoré. Ms. Hot 97 herself, Debbie Millman, and star of stage and screen Laurie Rosenwald will bring the New York attitude. Brace yourself for hours of dancing pleasure. The Milk Bar @ The Shelter. Friday, October 12 from 9:00pm to 2:00am. 1037 Broadway, "South of Colfax Nightlife District."